Finally all four of the menu items in their secret menu had been tasted. What we can say about it? Its one hell of a finish I might add. 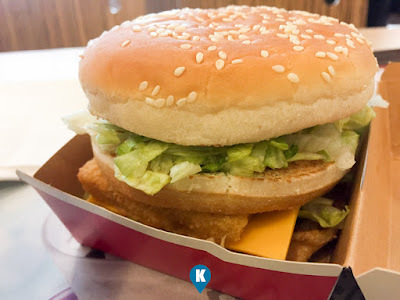 We had hits and misses with their menu that the last one gladly did not disappoint. 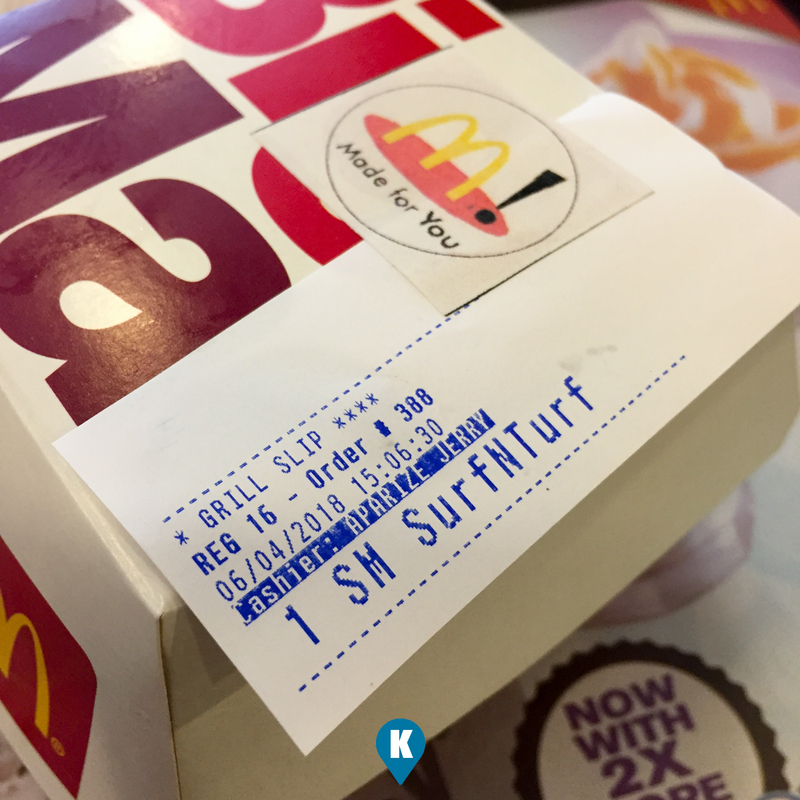 The Surf N Turf sandwich is based upon their Big Mac combination. 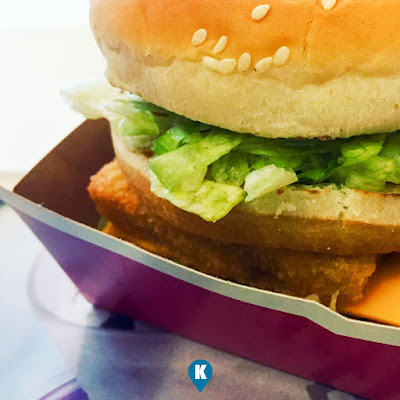 That instead of having two beef patties, they replaced one patty with two of the their great tasting fish fillets. 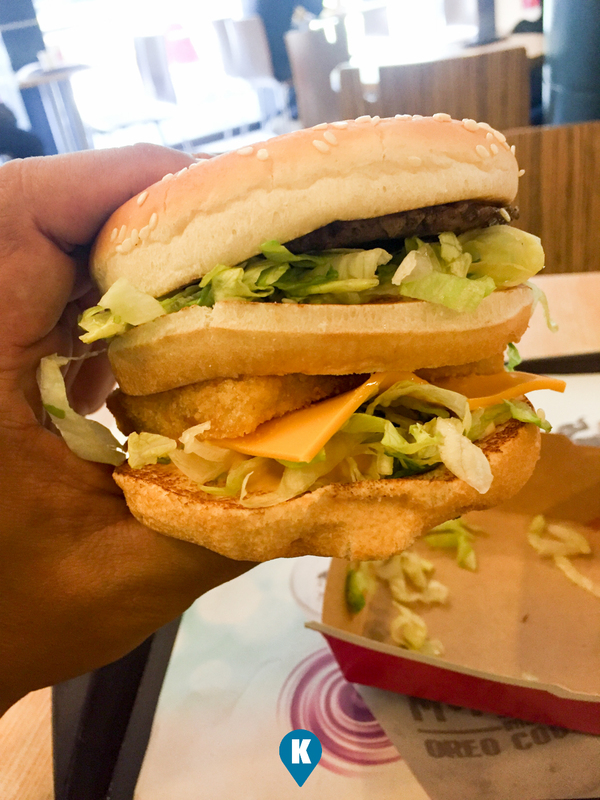 So you have three patties in bun. They have a winner in this Surf N Turf. Costing Php159 (if I remembered correctly) this thing here is worth every penny. 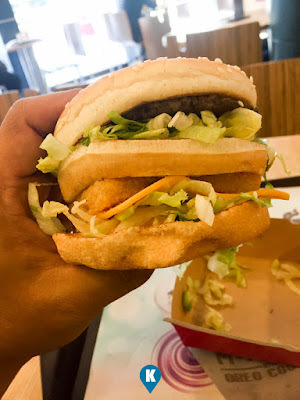 I may have misgivings with with Big Mac size, its either been getting smaller and smaller or my hands have gotten bigger and bigger over the years. But since I've set aside my frustrations in size, I moved on. I accepted this fact and evaluated this Surf N Turf objectively. Presentation wise, the real sandwich did not differ much from their published photos so I was glad. 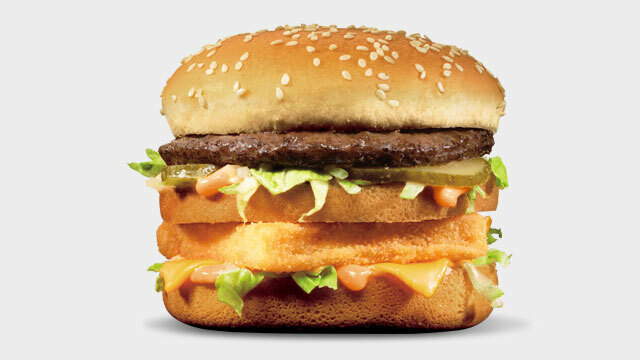 I love the Big Mac sauce and one can find it here in this sandwich. It truly enhances the combined taste of the beef and the fish making our dining experience a bit exquisite and charming. I may ditch the Big Mac altogether and get the Surf N Turf instead. I do hope they maintain this one and offer it to the public in their menu board.